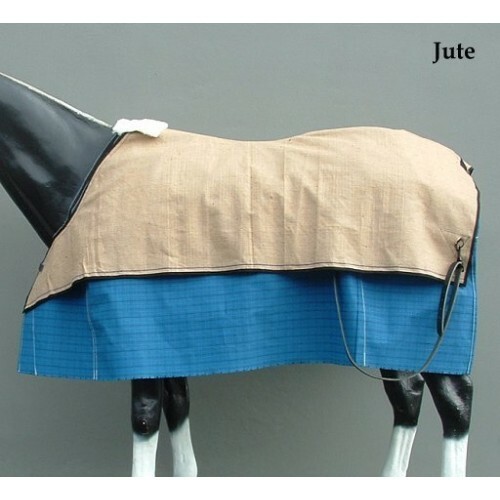 The Ranfurly 4-Seasons is a unique cover that allows you to have one canvas cover for all seasons of the year by changing liners to suit the climate. The liners can also be used two at a time. These unique liners fit into the Ranfurly Four Seasons Sheets Only. This liner is a heavy weight 100% thick felted wool lining that is suitable for winter or colder climates. This liner is a medium weight 100% wool lining that is suitable for mid season or warmer climates. This liner is a medium weight polyester lining that is suitable for mid season or warmer climates. The jute liner is made from 100% jute and is suitable for autumn or spring. An upgrade of satin shoulders can be added to this liner. The cotton duck liner is made from 100% cotton which is suitable for spring or summer. An upgrade of satin shoulders can be added to this liner.